Designed by award winning course architect, Clyde Johnston, Old South Golf Links is a tribute to man working within nature's fragile guidelines. 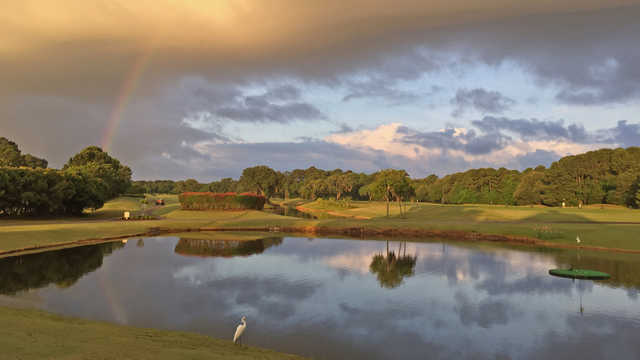 Not only did Johnston preserve the natural beauty of the land, his design allows golfers to experience up close the uniqueness of the site, it's natural amenities and spectacular views. 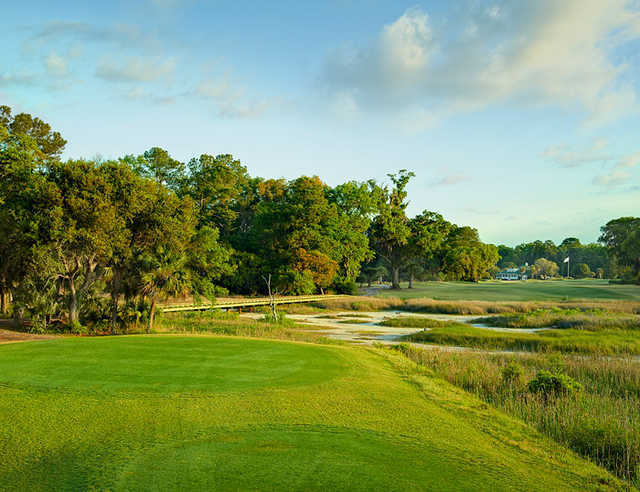 As Johnston himself so aptly put it, "the variety of the setting from oak forest to open pasture to tidal salt marsh provided an opportunity to vary the design elements and strategy of play." 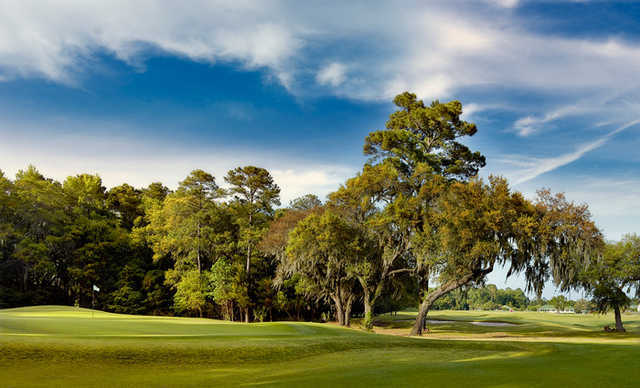 Guests and critics alike have been raving about Johnston's work since the beginning when Old South was selected by Golf Digest as one of the "top ten new public courses " Featuring towering live oaks, rolling Scottish terrain and magnificent views from island greens, Old South has truly become a Lowcountry favorite.The sixteenth hole at Old South is one of the most challenging and picturesque par 4's in the Lowcountry. 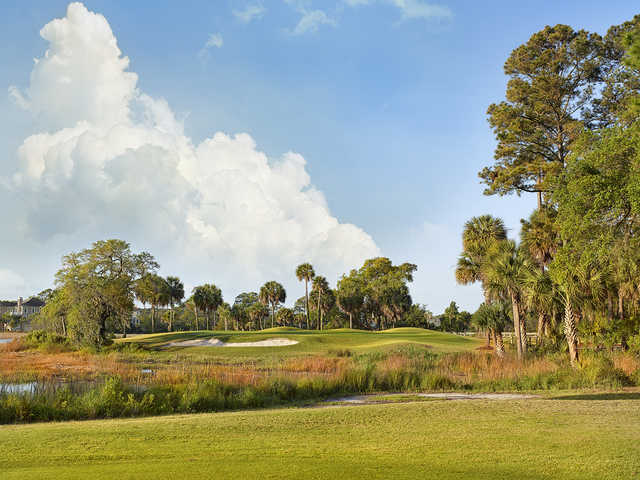 With the tee boxes tucked back in the woods, the green is hidden from view on this long dogleg left. 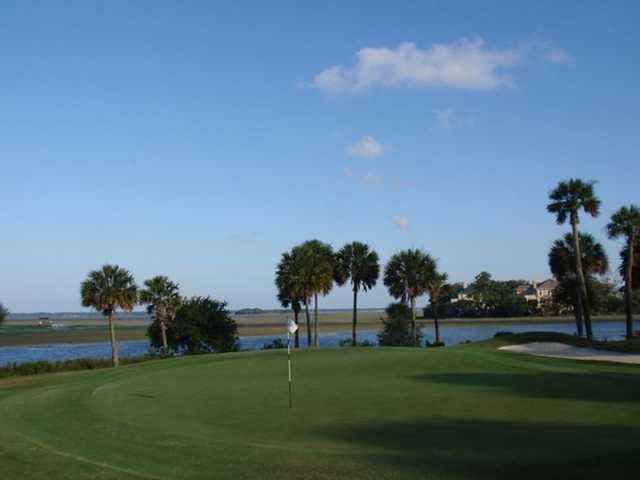 The landing area lies 220 yards from the championship tee box and is hemmed in on three sides with trouble. 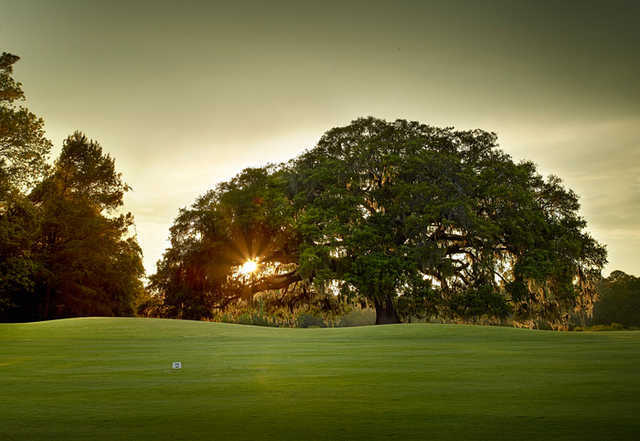 Short or left is wet, long is in the trees and a shot to the right, although usually playable, will require a long iron to the green. 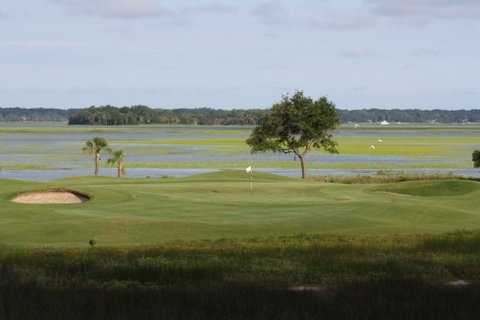 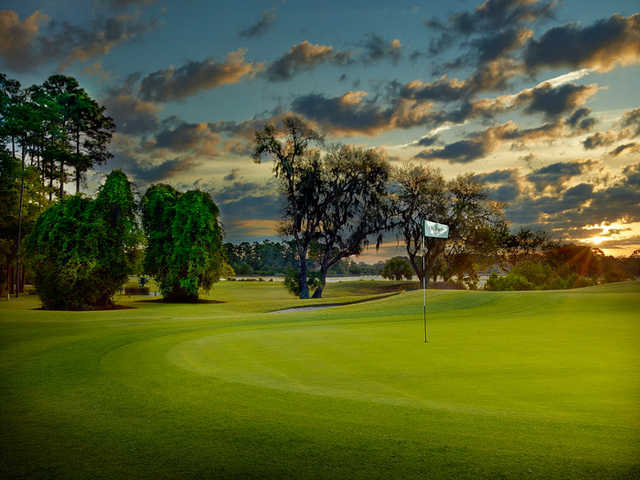 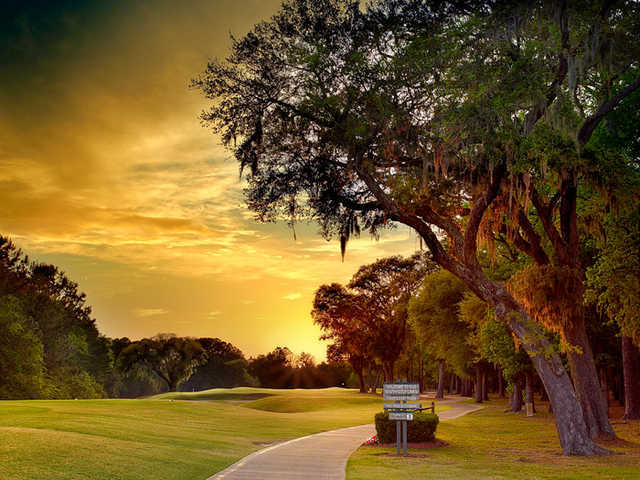 A great drive to the middle of the landing area leaves a player with a 170 yard second shot over the salt marsh again to the magnificent two-tiered island green, beyond the green lies a grand view of the intracoastal waterway and Hilton Head Island. 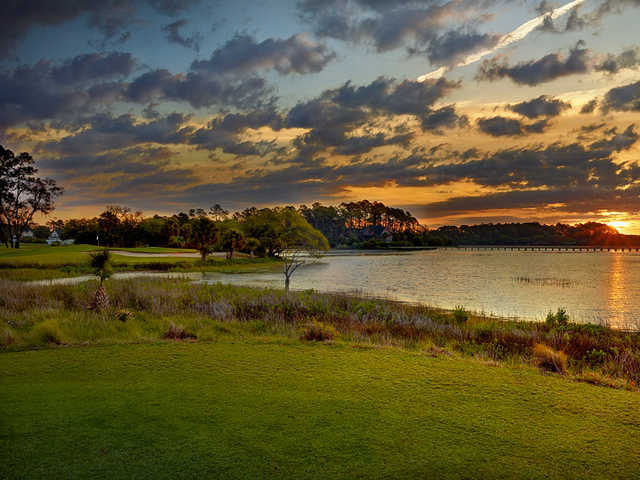 Many matches are won or lost on this hole, where even the best players would gladly take par and move on.